Photographic competitions for a digital age. FFPx does it all from collecting images from club members, selecting for exhibition, scoring competitions, panel based, placed based, "mix and match" or knock out competitions. All controlled using a ribbon based, touch friendly user interface. FFPx is a top down rewrite of the widely used Film Free Projection software which has gathered praise from it's many users for it's flexibility and power. A key aim for FFPx is making the projectionist's life easy. That's why image gathering is built right in to FFPx. 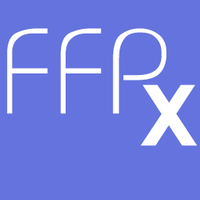 FFPx can connect to an email server, a shared Google drive or the Photo Entry online system and gather images for competitions. Anyone who's tried to use a laptop in the dark will welcome a touch display. FFPx has been designed to be used with touch screens. Two taps, and you score an image. We pride ourselves on our support; please contact us with questions or requests. Shouldn't computers make things easier? We think so - that's the philosophy of FFPx.